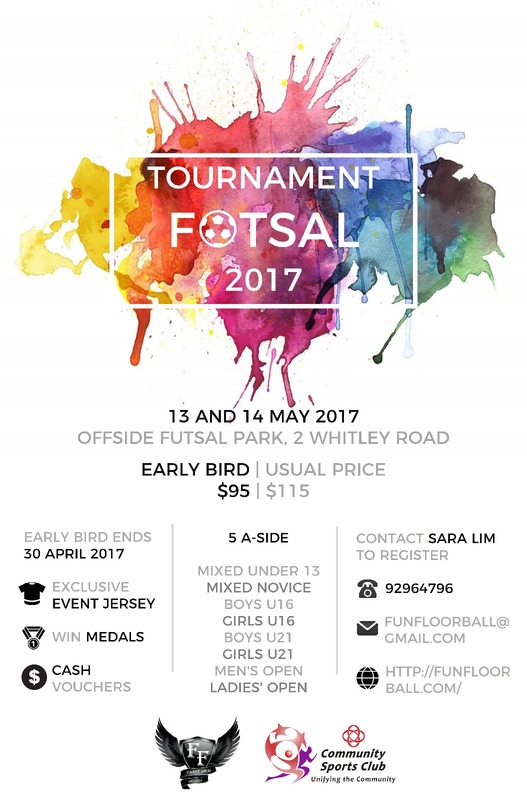 Our 5th annual futsal tournament went smoothly in 2017. 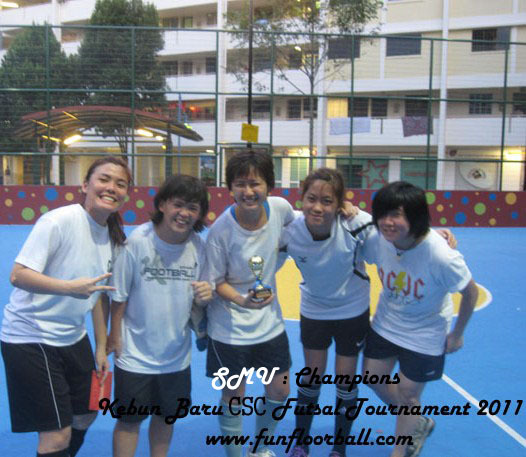 This year, we had 4 categories- Men’s Open, Boys U21, Girls U17 and Boys U16. 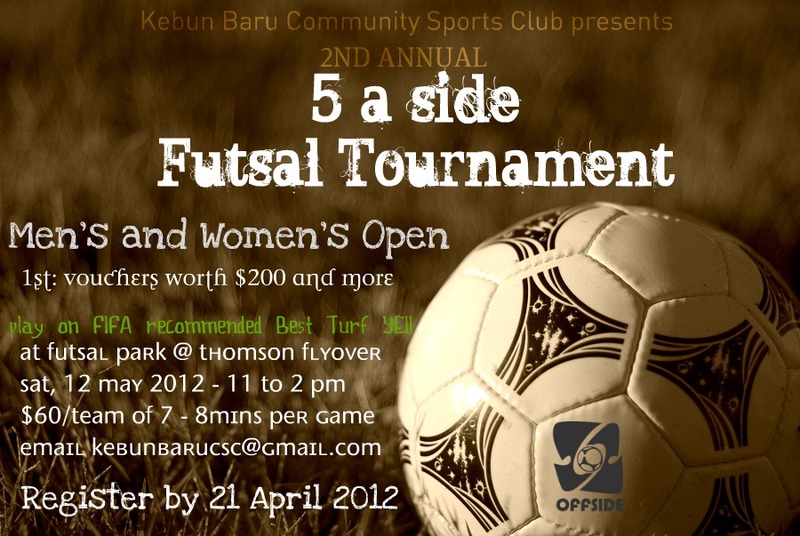 Registration for our 5th annual futsal tournament is now closed. Thanks everyone for your support! 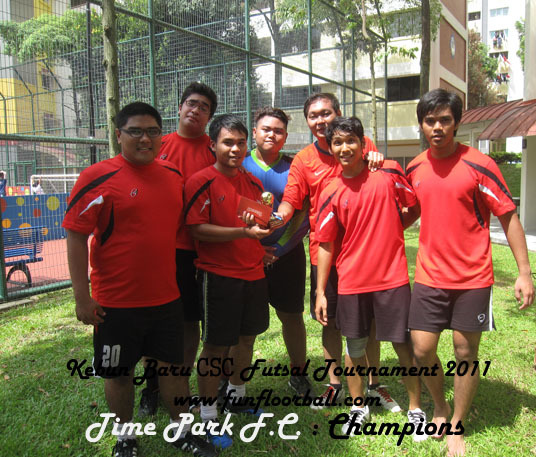 Also a shoutout to Dribble for preparing the tournament medals and trophies. Dribble specialises in event solutions and digital marketing. Collaborating with them was a breeze. Check out their online store too! Train hard and we will see you at Offside in 14 days. The usual 5-a-side rules will apply. You can register a minimum of 5 players and maximum of 7 players. Early bird price is $95. To register your interest, please complete this Google form (https://goo.gl/forms/MKBsIV8ku31esCxj1) and we will get back to you with the entry form. 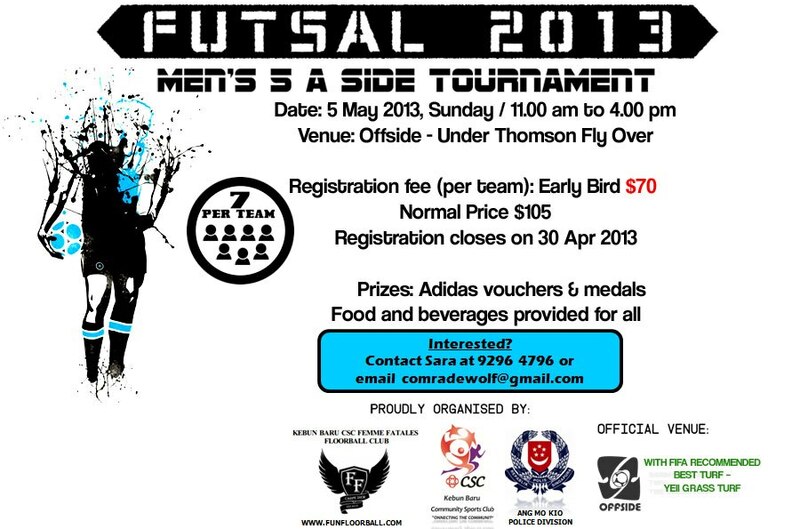 Really appreciate the support and hope you will join us for a weekend of street soccer! Registration is based on first-come-first-served basis and will be closed once maximum number of slots is reached. Each category requires a minimum number of participating teams to proceed. We will close or combine any categories not meeting the minimum number of teams required so that rest assured, we can still go ahead with the game. Time: Sat from noon. Sun from 9am. Medals & prizes for top three! We will release more details once confirmed. Do join us!